Six photos of this 76cm gauge steam - worked line when it was still part of the Austrian Federal Railways (OBB) system. 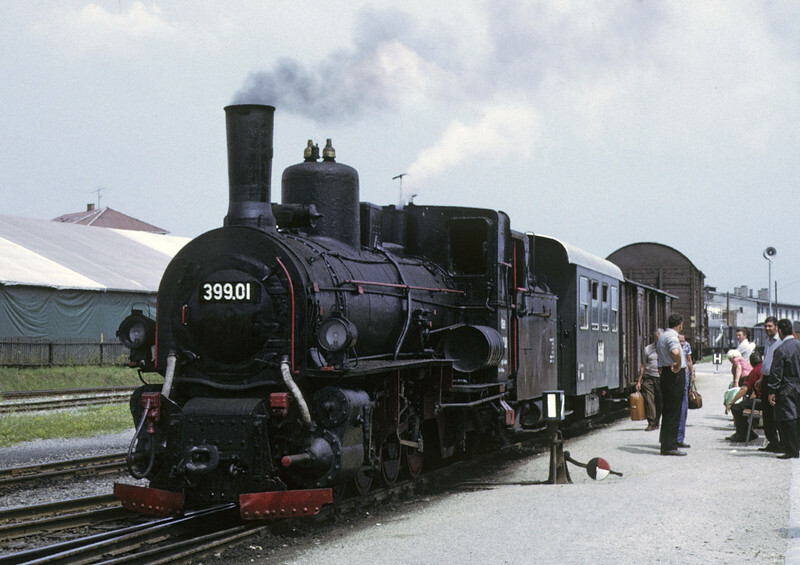 399.01, Gmund, July 1972. The 0-8+4 awaits departure with the 1322 mixed train to Alt Nagelberg. This loco was still at Gmund in 2015, having reverted to its original Mariazeller Railway number of Mh.1. NB the standard gauge wagon on its narrow gauge transporter. Photo by Les Tindall.